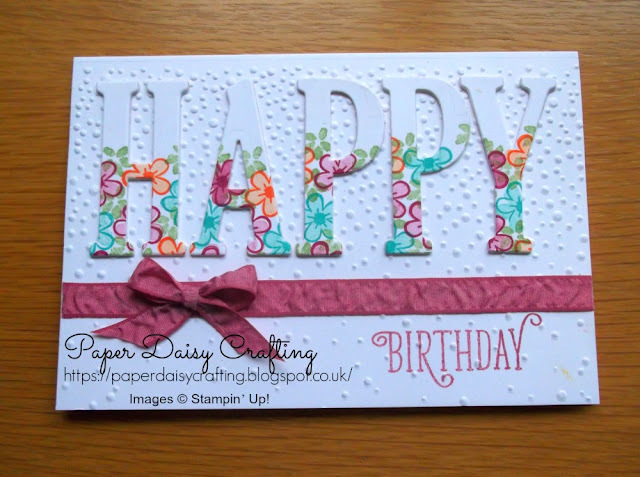 Exciting times - it is my birthday this month which means it is my turn to take part in the Pootler's Birthday Club blog hop. May is also the month of the birthday of a very good friend of mine. 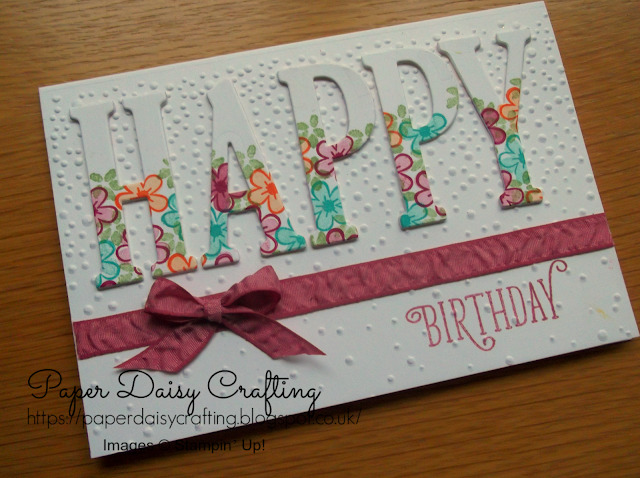 She is also a crafter and handmade card maker so I always try to make the effort to make her a special card. Luckily our styles (clean and simple) are very similar, so I feel confident that if I like a card she will like it too. This is the card I sent her for her birthday this year. It was very much inspired by a card I saw on Pinterest by Cary of the blog "2biggirlscrafting" - thanks for the inspiration Cary! I have used the "Softly Falling" embossing folder and the large letter framelit dies. I cut three of each letter from our thick whisper white card and layered them up. Can you spot the sneak peeks of products from the new Annual Catalogue? 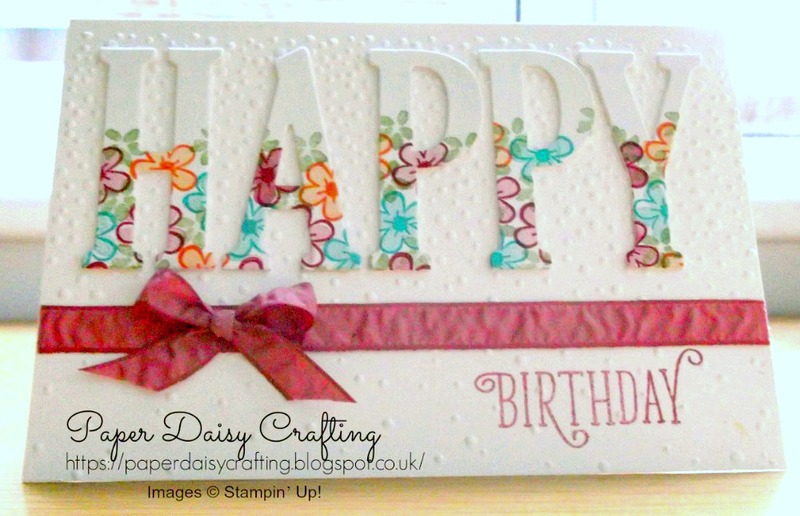 The flowers and "Birthday" greeting are from a stamp set called "Happy Birthday Gorgeous" which will be available to order from June 1st. The tiny green flowers are using a stamp from the Number of Years stamp set. If you would prefer a more personal service, please either send me an email or give me a ring. I'll be more than happy to help. I hope you like my project. Do have a hop around using the link below to see all the other wonderful posts from our very talented team.